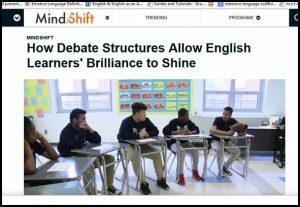 Debating topics relevant to the news can be a high-interest way to engage English language learner. The link below has some video clips to see this in action. This twitter account from Katie Toppel has some brilliant ideas – many for primary level – but general ones as well. 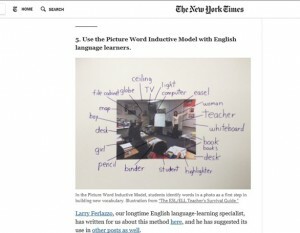 While not entirely devoted to things EAL, this site has great ideas for lessons, writing prompts, discussions and more. 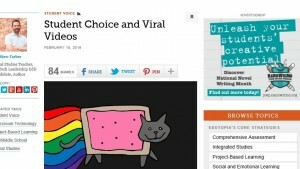 Some great ideas about using viral videos to enhance learning! 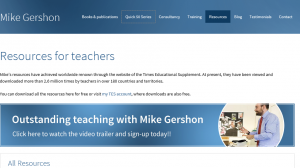 There’s a wealth of resources here for assessment, starters, EAL and a whole lot more. Well – let’s start with just 2! This young person is fluent in 11 langauges. http://www.bbc.co.uk/news/uk-17107435 OK so he is a student! – but how did he do it? Watch the clip. Living in a community helps. 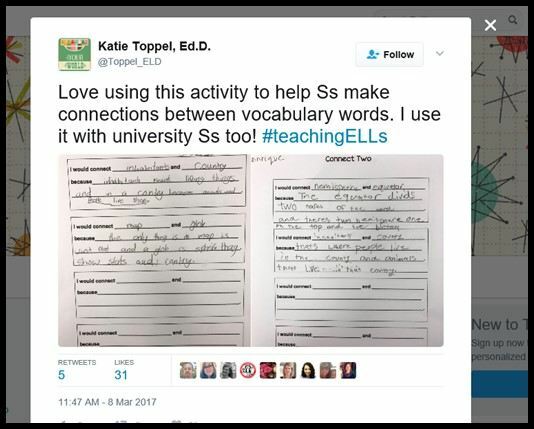 (Learning in context). He also talks about learning songs. Most of you are learning three languages. Is it impossible? Not if you find the right method and love what you do! Do a little bit every day and you will be amazed at how much your speaking will improve. 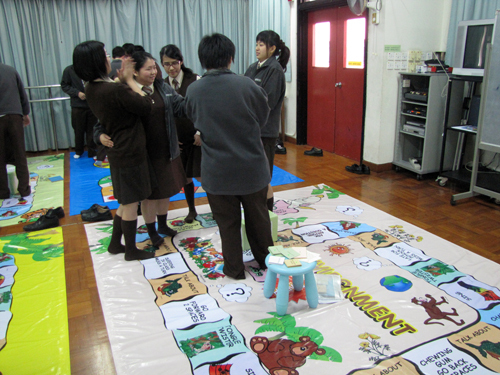 Giant Speaking game: This is one of the games developed for use on English Speaking day. It was a good chance to have some fun through charades and tongue twisters as well as 30 second speaking challenges. The clip art for the mats came from: http://www.phillipmartin.info/ it is brilliant. There’s a great range and it added life to the activity. We were able to keep fit as well as doing lots of speaking in English. 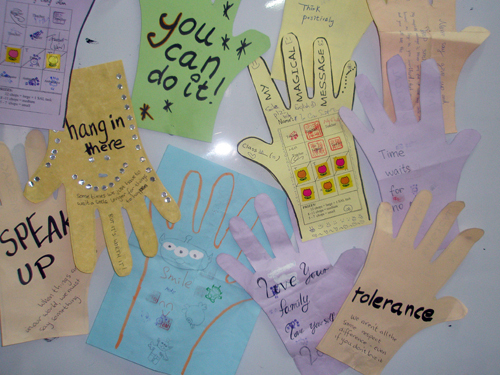 For English Speaking Day, students watched the video “We’re all in this together” – then wrote their own message on their passport and shared this with others including their teachers and the English Ambassadors. It was great to hear so much about what everyone sees as really important. There was a lot of “English Speaking” happening and many prizes were collected.